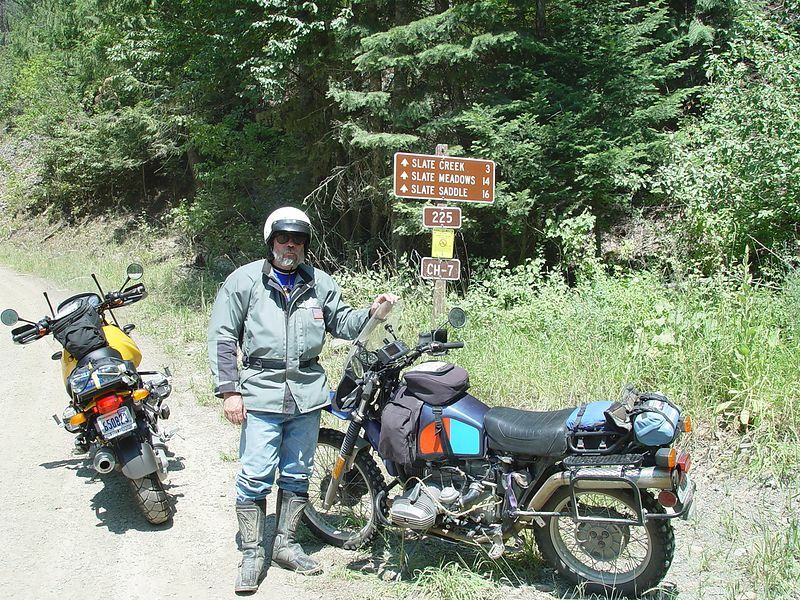 I attended the BMW nation rally in Spokane Washington, and had a great time riding in the forests of Washington and Idaho. From there I went to Ouray Colorado, where a "HIGH" time was had by all. We rode our Dual Sport bikes to almost 13,000 feet of elevation, got rained on covered with sleet and even a little bit of snow. Life is good. Mr. Cob and his R80G/S.